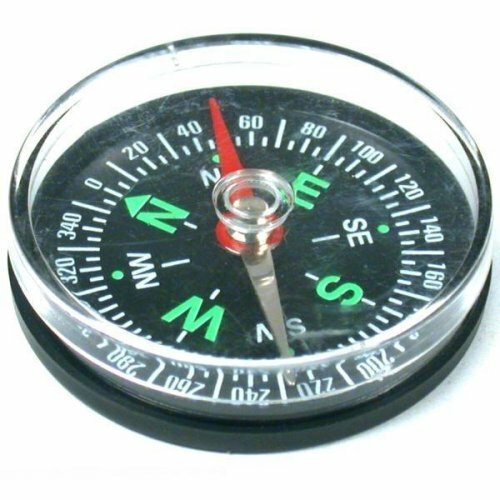 Compass Great For Camping, Hiking, Hunting, Fishing & Outdoor Activities. This a new compass. Great for camping, hiking, hunting, fishing and other outdoor activities. Can also be used for detecting the presence of a magnetic field in watches, instruments and other components. It is extremely sensitive. It measures approximately 1 9/16" (40 mm) in diameter We work hard to update our descriptions and pictures of our merchandise. As part of a process of ongoing innovation by our suppliers, newer versions of the item shown may be shipped before we are able to complete an update. As a result there may be a slight variation in color and design.